Saturday, October 24th. GFN 98.7 FM is hosting another FREE event. 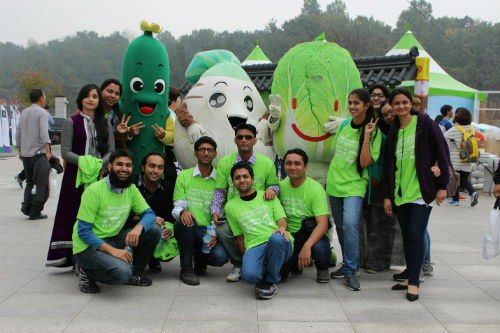 Kimchi Festival Amazing Race in (Gwangju World Kimchi Festival 2015). 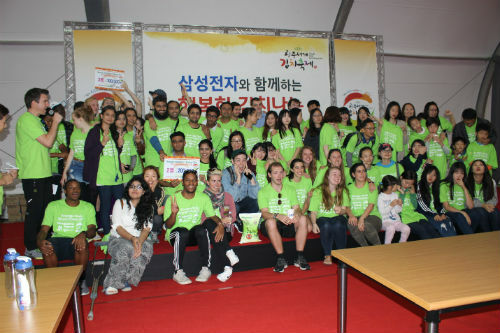 Team ‘PAK’ a group of four CNU international students including Muhammad Umar, Muhammad Umer Farooq, Zaigham Zaheer, and Muhammad Umar Farooq won the Second prize worth of 200,000 won at Kimchi Festival Amazing Race in Gwangju World Kimchi Festival 2015. The race featured various hands on activities at the festival site. There were 30 teams participated which team completing missions in the fastest time won. “The game tasks were attractive and appealing.” Missions involved are various types of actions which are find the hidden things, scramble, acting, eating delicious kimichi to find out which one is old one, jumping rope, hitting the target, making soup, fill the glass of water with gun, etc. Last session of the making kimchi activity was very fun. They were under great pressure because at the beginning of the race, the team did not win loads of points yet. Therefore, they came up with a strategy afterwards in which everyone would be responsible for one particular task and do it altogether at the same time to win the most points. We lost 1st position because of lucky point. The team initially participated with the urge of finding new experiences and for a break from their busy university life and was thrilled to win the biggest prize.